I-Jen Fang was born in Taipei, Taiwan and began her musical education at age six taking piano. Taking up percussion at the age of nine, she came to the United States at age fifteen to pursue her Bachelor of Fine Arts degree in Percussion Performance at Carnegie Mellon University in Pittsburgh, PA. Later, she received her Master of Music degree from Northwestern University and her Doctor of Musical Arts degree from the University of North Texas where she served as a teaching fellow. Her principle teachers include Tim Adams, Michael Burritt, Christopher Deane, Mark Ford, Paul Rennick, Robert Schietroma, Ed Smith and Ed Soph. 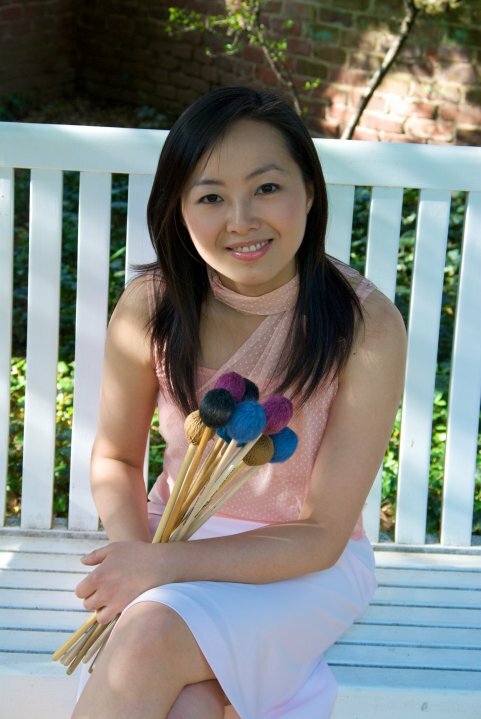 As a percussionist, Ms. Fang has performed or recorded with artists such as Keiko Abe, William Cahn, Mark Ford, Mike Mainieri, Michael Spiro, Nanik Wenton and Nyoman Wenton. She was a guest marimba soloist with the Taiwan Youth Orchestra in Austria, France, Hungary, Romania, and South Africa. Also, she has performed as a soloist with the Carnegie Mellon Philharmonic in Carnegie Music Hall in Pittsburgh, Pennsylvania. As a pianist, she was a winner of the Pittsburgh Concert Society Young Artist Competition. In 2003, she was a featured performer with the Bain Percussion Group at the Percussive Arts Society International Convention (PASIC). In that same year, she was selected as a marimba soloist to perform in the Marimba Mania Concert at the 6 èmes Journées de la Percussion in Paris, France. In 2004 she performed at PASIC as one of the finalists in the Solo Vibraphone Competition. In 2005 she was invited to perform on the Gamelan Gender Wayang at PASIC 2005. Ms. Fang has performed with many ensembles, which include the Taiwan National Symphony Orchestra, Taiwan Youth Orchestra, North Texas Wind Symphony, UNT Indoor Drumline, Northwestern Symphony Orchestra, Northwestern Contemporary Music Ensemble, Carnegie Mellon Philharmonic, Carnegie Mellon University Wind Ensemble, UNT Steelband, South Indian, Gamelan, Afro-Cuban, contemporary and classical percussion ensembles, and is a member of a percussion quartet, the Bain Percussion Group. She has been involved with recording eleven CDs and a DVD with the North Texas Wind Symphony on the Klavier and GIA labels.